Thu, Apr 18, 2019, 16:30:39 ---- The fact: 42.844.000 visitors done. 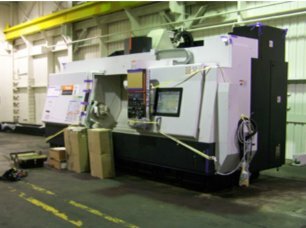 Formtek Adds Roll Tooling Capabilities Formtek Metal Forming, Inc.
Formtek, as part of a comprehensive plan to meet or exceed the heightened demands of the roll forming industry, has taken delivery of a new five-axis, dual chuck, machining center for its Cleveland location. This addition, along with their existing CNC equipment and other machines currently on order, will enable Formtek to produce roll tooling more efficiently, by eliminating many of the time consuming steps currently involved in tooling manufacture, while simultaneously increasing the quality and consistency of the tooling produced. Formtek is the largest provider of tooling and equipment to the roll forming industry. With its Yoder, B&K, Dahlstrom, Tishken, and Lockformer brand names it can provide any type and size equipment required to meet the needs of its customers.